Did you know that Ginseng is associated with good physical condition? Some situations that can alter your physical condition are: fatigue, stress, sport, sleeplessness, overweight, growth and ageing, among many others. 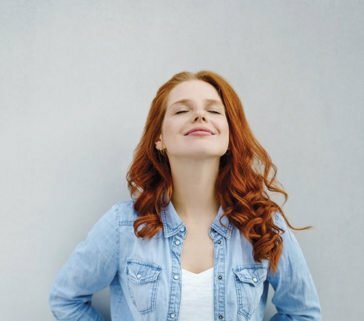 Exhausting or stressful situations lead us to higher demands for nutrients and, if not covered, our diet can be supplemented with food supplements like Ginseng. The content of saponins, polyunsaturated fatty acids, essential amino acids, complex sugars (polysaccharides) and vitamins supports antioxidant, anti-inflammatory, immunostimulant and metabolism-regulating activities2,6. Ginseng is an ally to promote the complete wellness1 of your body because it helps improve the use of energy and avoid the appearance of fatigue, as well as maintain the normal flow of cognitive, cardiovascular, sexual and muscle functions10. Short-term: to improve endurance and concentration. In addition, Ginseng contributes to healing processes, stress resistance, vigilance and efficacy in the work of healthy individuals4. Long-term: it helps improve well-being under degenerative and weak conditions, especially those associated with old age7. The word Panax means “all-healing” in Greek. The root of ginseng is known as Korean ginseng and as the lord or king of herbs9, as it has got a human form. There are other types of ginseng, such as American and Indian. What are the properties of Ginseng? It is considered a tonic with adaptogen, stimulant and aphrodisiac properties5. Furthermore, it is present in monographs in the pharmacopoeias from China, United Kingdom, Germany, USP-NF, or Europe, among others. The EMA (European Medicines Agency, 2008) defines the term ‘adaptogen’ as a metabolic regulator. An adaptogen increases the capacity of organisms to adapt to environmental factors, thus avoiding any damage that might occur. The active ingredients of Korean ginseng are saponins (ginsenosides), fatty acids, polysaccharides, amino acids, polyacetylene alcohols, vitamins, some minerals and enzymes. Ginseng polysaccharides, especially Ginsan, have shown immunostimulant activity6,8. Panaxadiol: exerts neuroprotective, anti-inflammatory and antioxidant activity. Ginseng contributes positively to mental performance and the cognitive function (memory, verbal fluency), due to its activity in the central nervous system. The immunostimulant activity of its active ingredients contributes to maintaining a normal immune function. Ginseng has got antioxidant capacity. Contributes to normal blood glucose levels. This favours the correct flow of metabolism, physical performance (coordination and fatigue resistance) and cardiovascular wellness. Contributes to normal sexual function and enhances erection quality. 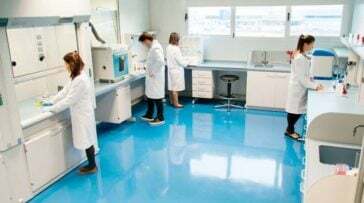 MARNYS® — Martínez Nieto S.A. counts on one of the most technologically advanced laboratories in the sector in Spain and Europe, equipped with the best technical equipment and professional teams to guarantee the consumer the best quality and efficiency in its products. MARNYS® — Martínez Nieto S.A. works with the most demanding suppliers in order to ensure that they comply with the very high levels of quality required. The monographs (detailed studies) of European Pharmacopoeia guarantee the quality of ingredients. 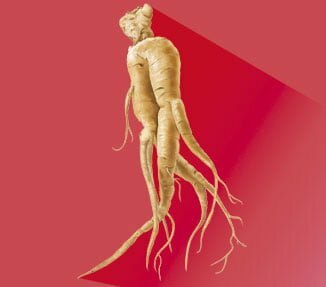 MARNYS® Korean Ginseng meets criteria as demanding as those marked by such monographs to ensure quality, and MARNYS® demands a minimum content of 20% ginsenosides. An energy boost for optimal physical performance especially at a time of intense activities. Get extra energy! Natural alternative, with Royal Jelly, Guarana, Taurine, Siberian Ginseng, Korean Ginseng and Liquorice, for people that need extra support from time to time. Synergic action of Korean Ginseng and Royal Jelly to favour physical and mental performance. Combats tiredness and fatigue and promotes concentration, memory and agility. Balanced formula rich in nutrients, especially recommended for people with nutritional and energy deficiencies.